When Terry Peabody arrived home from a four-week business trip in the Autumn of 1986 his wife Mary, and daughter Mary-Jeanne, cooked him dinner. The meal was long and leisurely, but not without purpose. Terry wasn't allowed to leave until he had agreed to go into the wine business. The specification was that the business must never be sold. It was to be a family business, an enduring heritage legacy. That night, Terry made a commitment to the most important people in his life, and he intended to honour it. The search for a winery began traditionally enough - in France and America, spreading then to Australia, then finally to New Zealand. Fate played its part. An acquaintance introduced Terry to noted Kiwi viticulturist Steve Smith, who had been named by Decanter magazine as 'one of the 50 most influential people in the world of wine going into the next millennium.' He was in good company alongside Chateau Margaux's Paul Pontallier, Pierre Henry Gagey of Louis Jadot, and Jancis Robinson MW. He'd just become a Master of Wine - the only specialist viticulturist in the world to have the distinction. As some collect antiquities or vintage cars, Steve collected land for vintages. A consultant with a rare instinct, and experience in South Africa and Bordeaux, he received more than 350 parcels of wine annually from all over New Zealand. 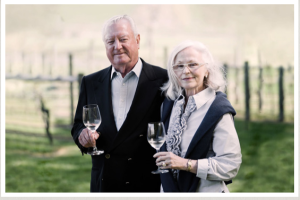 Gimblett Gravels in the Hawke's Bay on the east coast of New Zealand was an area with the perfect growing conditions for his favourite wines – the Bordeaux reds and particularly Syrah. The spectacularly beautiful Tuki Tuki valley had the soil for Chardonnay and would be the ideal home base from which to build a new kind of winery. Steve, who always wanted to stretch the boundaries and to whom 'it's nice' would be the ultimate insult about a wine, joined Terry. 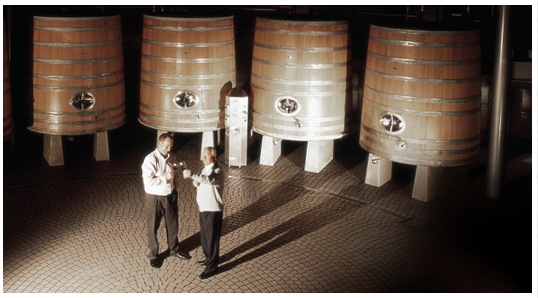 They made an important decision from the beginning to exclusively pursue the Single Vineyard Philosophy of winemaking, a new concept back in 1997. Craggy Range was the first in the Southern Hemisphere to adopt making single vineyard wines from multiple regions of the country. Grape was matched to place. It is fortunate to have 100 hectares of this famous 850 hectare area and our Gimblett Gravels Vineyard is widely regarded amongst the very best vineyards for Bordeaux Reds and Syrah in New Zealand. Its unique location creates the warmest vineyard area in the country, where other climatic factors such as sunshine hours, humidity and rainfall are also ideal. The stony soils further warm the entire environment of the vine and create excellent soil conditions for making ultra premium red wines from these varieties. The Craggy Range Te Muna Road vineyard is 7km outside the township of Martinborough, at a higher elevation, which delays harvest by about a week. The area enjoys a climate that is closely aligned with the famous cool climate regions of Burgundy, the Loire Valley and Marlborough. Here, the focus is on our own cultivation of the classic cool climate varieties of Sauvignon Blanc and Pinot Noir. The vineyard consists of two distinct terraces, one with very old stony soils at a higher altitude, producing exceptional Pinot Noir. The second lower terrace is younger stony soil, interlaced with lumps of limestone, excellent for Sauvignon Blanc. 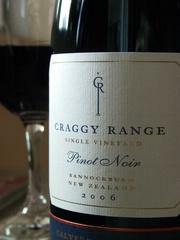 Craggy Range added the Calvert Pinot Noir to its range in 2007. The Calvert Vineyard is owned by Cromwell raised Owen Calvert and is located on the northern side of Felton Road in Central Otago in New Zealand's South Island on an elevated terrace above the KawarauRiver lying The Calvert soils are Bannockburn deep silt loams: a complex mixture of loess, quartz sands, ancient lake bed clays and quartz and schist gravels. These balanced soils hold water throughout the dry Central Otago growing season. The Pinot Noir vineyard was planted in two stages between 1999 and 2001 with a combination of the Dijon clones and the two Pommard selections from UC Davis. The vineyard is run biodynamically by the viticulturist at Felton Road, Gareth King, and is the only Pinot Noir property in New Zealand where three producers (Craggy Range, Felton Road, and Pyramid Valley) all make single vineyard wines. The wine is medium to deep purple ruby colour in the glass. Very much in the style of the Felton Road Pinot Noir I have previously tried, this has black cherry and plums, the typical pinot earthiness and spice. The palate is silky smooth, intense with dense fine tannin with a long finish expressing fruit and floral notes. Another excellent Pinot from Central Otago. Now I'd like to try their Te Muna Pinot.